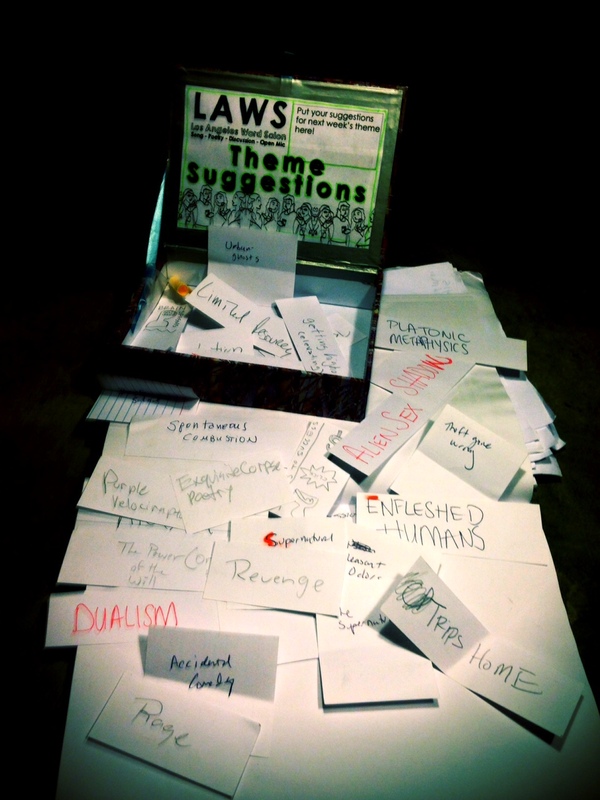 Here are the theme suggestions gathered at LAWS #27 Los Angeles and/or Money. What would you have suggested? Which would you have chosen? Scroll to see what we chose! the theme we chose is…………. 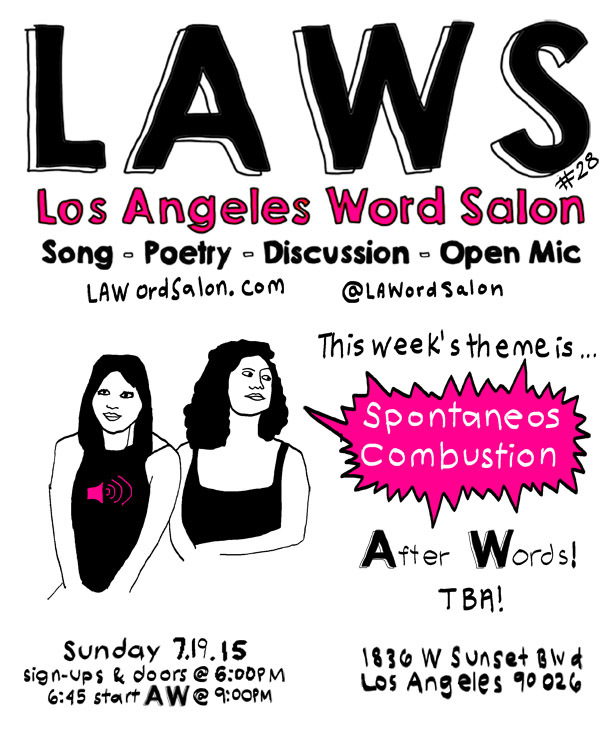 “Spontaneous Combustion“! Join the event!